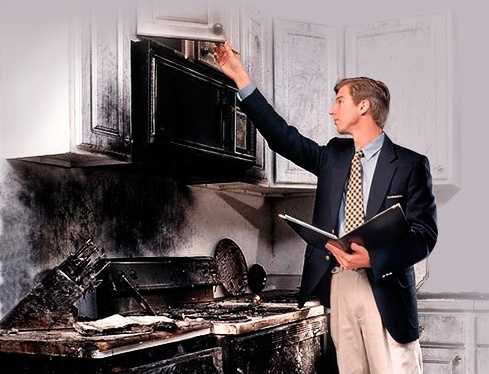 Most often, home or business owners look to their insurance adjusters for direction in the event of a fire, flood, storm or vehicle impact emergency. They want to know who should they call immediately, and then who should they call to clean-up the mayhem, and finally who can reconstruct the damage back to pre-disaster status? And understandably, they want each stage handled quickly. That could be three or more different restoration companies to vet, enter into a contract with, and coordinate schedules. It makes sense that one phone call to an established company that can handle all aspects of the disaster would be more efficient and a smoother process to complete the restoration from start to finish and will improve customer satisfaction. Wolgast Restoration has the full-service ability, credentials, equipment and expertise to accomplish a complete restoration from emergency to mitigation through reconstruction. When engaging us at the start of a disaster, we’ll be well informed and can establish the trust of the insurance client to move through restoration with fewer setbacks. Insurance customers would not have to be introduced to a new company at each step of the restoring process and Wolgast will help guide them while keeping the insurance adjuster informed. Our Restoration Division is fully trained and has the credentials for Water Restoration, Applied Structural Drying, Content Storage, Advanced Microbial Remediation, Fire & Smoke Restoration, Commercial Drying, Carpet Cleaning, and Odor Control. Furthermore, Restoration’s parent company, Wolgast Corporation, is a general contractor who has served commercial and residential building owners throughout Michigan for the past 69 years. The construction aspect of the restoration will be handled by the experts to provide the best quality product. If one-stop shopping could make restoration more efficient for your clients and in turn for you, please contact us for more information or to add us to your approved restoration company list. With the arrival of fall, and winter just around the corner, now is a good time to take measures to protect your home from the ravages of the bad weather to come. Wind, hail, heavy rain, snow, and ice are the most common causes of property damage to homes and businesses. High-speed winds and hail can damage shingles and siding. 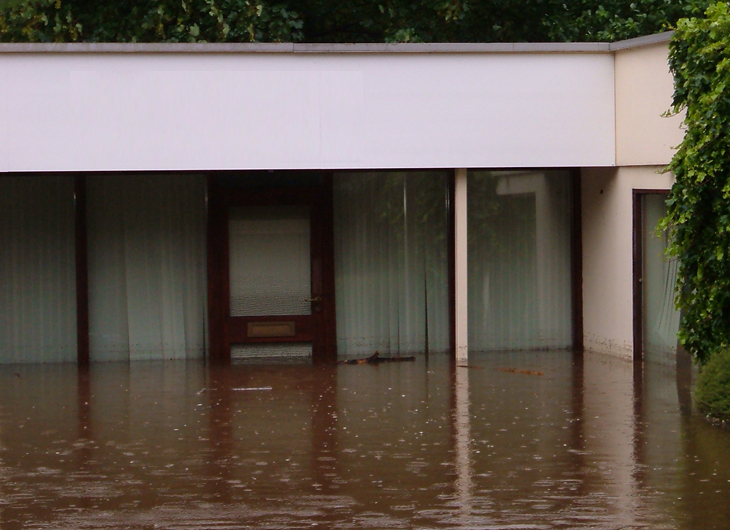 Heavy rain can infiltrate structures from virtually any area that is not adequately weatherized. The weight of excessive snow can collapse roofs. 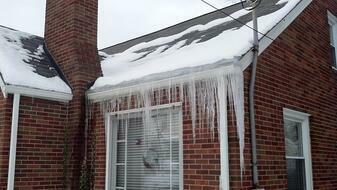 Ice can build up in gutters and cause ice dams, resulting in leaks beneath the shingles. Here are some tips for winterizing your home or business. Inspect roof for damage and missing shingles, and make any necessary repairs. Clean leaves and debris from gutters and downspouts to allow for proper drainage and to prevent ice and snow from building up. Trim tree branches away from your structure and remove dead branches that may fall due to heavy wind, ice, or snow. Add more attic insulation to prevent ice dams. Ice dams are caused by excessive heat escaping from a poorly insulated attic, melting ice and snow on the roof and refreezing. This can cause water to build up and leak through the roof. Check to make sure flashing is in good condition to help prevent water penetration. Check for missing gravel on flat roofs, and repair any surface bubbles. If you plan to replace your roof, and you live in a hail-prone area, consider using impact-resistant roofing material. After the roof is secure, make sure your basement is in good condition. Keep flammable materials away from water heaters and wiring in the basement. 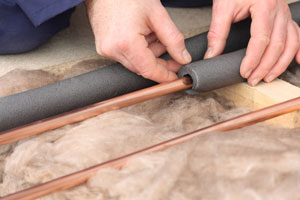 Insulate water pipes along outside walls and in areas exposed to cold temperatures. Caulk or insulate around any pipes or conduit running through the basement walls to the outside. Turn up the thermostat during extra cold periods to prevent pipes from freezing. Leaky doors and windows can allow rain, snow and cold air to get into your home or building. Over time, this can cause bigger problems, like wood rot, deterioration, and mold. Check for gaps around doors and windows, and caulk or repair as needed. Repair any loose or missing caulking around doors and windows. Check caulking around showers, bathtubs, sinks, toilets, and make repairs as needed. Check for air infiltration around electrical outlets on exterior walls. Insulate as needed. Other problem areas to check and maintain. ­Have your chimney cleaned and maintained each year. Clean the clothes dryer exhaust duct and space around and under the dryer. Remove all lint, dust, and any debris. ­Check your electrical outlets for potential fire hazards such as frayed wires or loose-fitting plugs. Be sure not to overload electrical outlets, fuse boxes, extension cords or any other power sources. ­Inspect your smoke detectors. Make sure there is one on each floor of your home. Test them monthly, and change the battery annually or as needed. The property insurance claims process can be confusing and challenging, but it doesn’t have to be. The best way to prepare yourself for filing a property insurance claim is to know and understand your homeowner’s insurance policy. Read your insurance policy carefully. If you don’t have one, request a copy from your insurance company. If you have any questions abut your policy, or don’t understand something, discuss it with your insurance agent. Be organized. Keep track of important documents, contracts and contact information. During the insurance claims process you will be working closely with an insurance claims adjuster. The adjuster is usually assigned by your insurance agent or company to handle your claim. The claims adjuster is professionally trained and certified to assess the property damage, evaluate and settle your claim. The claims adjuster may often take reasonable steps to assist you with analyzing the loss, but it is ultimately your responsibility to document the damage and to prove the value of your belongings to the insurance company. Your insurance company may either send you a Proof of Loss form to fill out, or your adjuster will visit your home first. Either way, the more information you obtain about your damaged property and belongings, the faster your claim will be settled. Understand exactly what is covered by your insurance policy by thoroughly reading through it and asking questions of your insurance agent or adjuster. Make a detailed list of damaged and destroyed items. As you discover damaged items, write them down on the list and include their original purchase price and replacement cost. 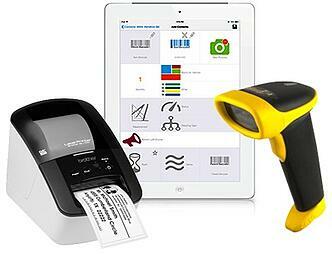 If you are able to find the original sales receipts, it will help speed up the claims process. If your property was destroyed, or you no longer have any records of your purchases or proof of your belongings, do your best to work from memory. If you can locate photographs that were previously taken inside your home before the disaster, it may help you remember items to be added to your damaged property list. Photograph or videotape damaged items to prove their existence and level of damage. Do not throw out damaged items until your insurance adjuster has inspected them and you both agree on their value. Keep copies of all documents your insurance company provides you. Record the names and phone numbers of everyone you speak to regarding your property loss, restoration and insurance claim. If you don’t have insurance, you should still take inventory of all damaged items. You may be able to deduct the losses from your income taxes. Remember, it is always your responsibility to prove the scope and value of your loss to the insurance company. Your insurance policy is only a contract between you and your insurance company, obligating both parties to perform specific actions. The insurance company is not responsible for repairing the structure or restoring/replacing your personal property. It is only the insurance company’s responsibility to inspect and review the information available to them and offer to pay the fair value of the claim, according to the language of the policy, to get your property back to it’s pre-loss condition. To start your claims process after a disaster, you should only engage one restoration company to perform a damage estimate. There can be significant financial disadvantages to getting estimates from multiple contractors. You should interview as many restoration contractors as you deem necessary to find a reputable, experienced company that you are confident will perform the repairs to your satisfaction. Then, engage that company to help you throughout the damage estimating and recovery process. Depending on the size and scope of the damage, it may be necessary for you to make new living arrangements after a disaster strikes your home. There are several reasons why you may not be able to occupy your home after a disaster, and during the restoration process. The most common reason is that it is unsafe to be in the home due to poor air quality from smoke or mold growth. Even after a fire has long been extinguished, the air is still contaminated with corrosive soot particles and chemicals released from burned materials, such as plastics, that can severely damage the lungs and irritate mucous membranes in the nose. Water and moisture left over from extinguishing the fire can rapidly cause mold growth. The mold spores can easily become airborne and spread from room to room. Breathing in mold spores can cause many different respiratory health issues, especially to children or people with asthma or allergies. Certified restoration and mitigation professionals, wearing Personal Protection Equipment (PPE), and following stringent safety guidelines, are the only persons qualified to occupy and work within these contaminated spaces. Below are some things you should take into consideration if you are forced to leave your home after a disaster. Find new living arrangements close to work, school, and home. This will help minimize the disruption to your everyday routine and provide more convenient access to your home during the restoration project. Choose your living accommodations based on what you will be comfortable with during the length of time it takes to complete the home repairs. When choosing a location, your insurance company should take your previous living requirements into consideration, so you and your family are as comfortable as possible. Extended stay hotel suites or month-by-month apartment rentals are recommended, if your insurance policy covers the cost. Living with friends or relatives is a good choice if your stay does not interrupt their lives for too long and puts a strain on your relationship. Take with you as many everyday possessions as you can to make you and your family feel more at home, such as: children’s toys; books; games; electronic devices; cooking utensils; dinnerware; blankets; etc. Remove all valuable possessions and personal belongings from your home. Do not leave any documents behind that contain financial, banking, or medical information. Make sure all electrical appliances remaining in the home are unplugged and protected from damage during the restoration process. Have your mail forwarded to your new living location, or have the Post Office hold it for you to pick up at your convenience. Make sure your damaged home is properly locked, secured, or boarded up to prevent intrusion by people or natural elements. It is your legal responsibility to do this. 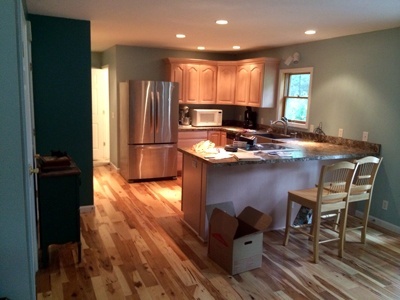 Your restoration contractor will perform this service for you. Contact your local police department to let them know your home will be vacant, and ask them to periodically check it to prevent theft or vandalism. Open up a separate checking account just to handle the money dedicated to the restoration repairs. This will help you accurately track your expenses, and keeps them separate from your everyday household funds. Save the receipts from any living expenses you incur during your stay away from home. Your insurance company may reimburse you for food, lodging, clothing, etc. In some cases, you may be able to claim expenses on your income taxes that were not covered by insurance. Since you will be away from your property during the restoration or reconstruction process, be sure to exchange phone numbers with your restoration Project Manager. This will ensure a consistent line of communication during the project. Keep all your insurance claim documentation and receipts in a pocket folder and store it in a safe location so it doesn’t get lost or damaged. As we head into Fall, it’s important to get prepared for cooler weather and a large part of that is fire prevention. A fire is a dangerous and scary experience that not only causes damage and property loss, but can also endanger the lives of your loved ones. • Have a proper working fire extinguisher readily available in a prime location known to all family members. Be sure everyone knows how to use it. • Install and regularly test smoke detectors around the house, being certain to have at least one in each of the rooms that have stoves or fireplaces. • Never leave children alone with a fire in a wood-burning stove or fireplace. • Test all appliances that contain exhaust fans such as stovetop vents, HVAC units, bathroom fans, etc. to verify that they don’t interfere with proper venting of the wood-stove. 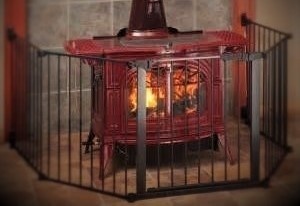 • Be certain that your wood stove has been safety tested and displays a UL or NFPA label. • When you re-fuel, avoid smoke spillage by slowly opening the door. • To properly start a fire in the wood stove, use crumpled paper on the floor of the stove and cover with a small amount of kindling. Open the damper/draft fully and light, holding the door slightly open for several minutes before closing tightly. After the wood begins to burn brightly; add more dry seasoned wood, using draft control to determine the burn rate. Never use kerosene, gasoline, or charcoal lighter fluid! • Remove and store ashes in a non-combustible tightly-lidded metal container far away from flammable items. • Verify that water heaters and furnaces that are attached to the chimney of a wood-burning stove or fireplace have tight-fitting seams and joints. • Ensure that fireplaces are equipped with glass doors or a tight-fitting spark screen to prevent sparks from reaching carpets or other flammable items; and keeping children and pets safe from harm. • Burn only dry, seasoned wood to prevent creosote (soot) buildup. • Inspect flue vents pursuant to manufacturer guidelines, and have them cleaned by a qualified individual. • Clean your chimney when the creosote reaches 1/4 inch, and check often. • Keep the area clear around the heating unit and flue at all times. In case of fire, immediately call 911 and get everyone out of the house. If it is a wood-burning chimney fire (often accompanied by loud crackling, roaring, or rumbling noises and the stove pipe turning red-hot); close the stove door, damper, and draft opening to cut off the air supply to the fire. Never throw water on a hot stove. As restoration contractors, we see hundreds of home disasters every year. But the one that has the most dramatic and devastating impact on families and homeowners is a house fire. The reason household fires are so devastating, apart from the damage to property and belongings, is that most of them are preventable. This article briefly covers the most common causes of household fires and possible ways to prevent them from happening to you. Cooking is the number one cause of all household fires. 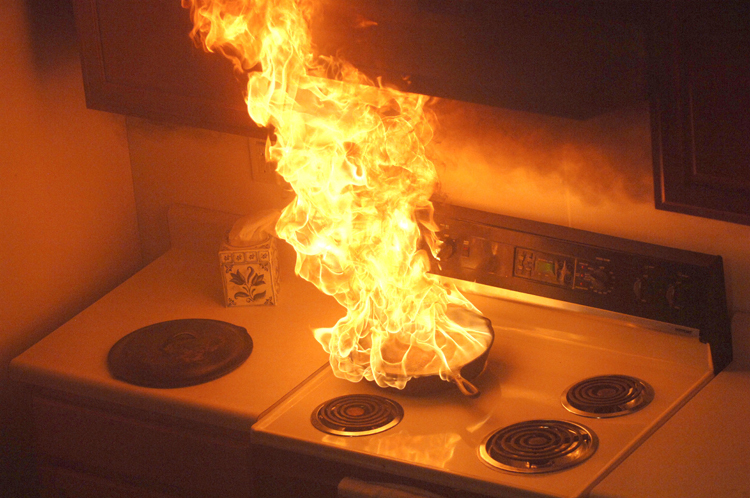 These fires are usually caused by leaving the stovetop or oven unattended while something is cooking, or from careless use of flammable cooking oils and grease. Prevention: Never leave your home when something is cooking, no matter how long the dish will take to cook. There is always a chance that you could be delayed longer than expected, and by the time you get home, it’s too late. Also, never take a nap while something is simmering on the stove, or perform tasks around the home that will take you out of the kitchen for more than a few minutes. When preparing slow-cooked foods, set a timer every 15-30 minutes to remind you to check the oven or slow cooker. It doesn’t take long for a pot to over-boil and start a fire. If you experience a grease fire, don’t panic. You can extinguish it easily by placing a lid over the flaming pan and turning off the heat. Do not use baking soda, flour or salt to extinguish the flames. This can cause the fire to flare up and burn you. It may also splash the burning grease onto towels, curtains, or other flammable materials nearby. Never let children be in the kitchen unsupervised while your cooking, especially those that are too young to understand the fire dangers and risks involved with cooking. Some of the deadliest fires are caused by the careless use of cigarettes, pipes and cigars. Most fires caused from smoking are usually the result of a smoker falling asleep and dropping their cigarette onto the floor or furniture, or leaving an unattended cigarette in an ashtray that falls onto a tabletop. Prevention: Always make sure that the butts in an ashtray are completely extinguished before dumping it into the trash. Running water into the ashtray is the best method to put out any smoldering embers. Never smoke in bed, especially if you have been drinking alcohol. Always extinguish smoking materials completely. If you have to smoke, try to smoke outside or in areas of the home where there are no flammable materials. There are more than 14,000 clothes-dryer fires each year. The number one cause of clothes dryer fires is due to lack of maintenance and proper cleaning. Another cause is stacking laundry or storing combustibles near the dryer, especially around gas dryers that have open flames. Prevention: Clean the dryer filter after every use. At least once every year, detach the exhaust hose from the back of the dryer and clean it thoroughly, or replace it if it has significant lint build-up that is difficult to remove. Keep combustible materials at least three to four feet away from any heat-generating equipment, including dryers, portable heaters, furnaces, and water heaters. Candles cause more than 12,000 household fires annually. About half of those fires start in bedrooms. A burning candle can easily fall over and set fire to furniture, curtains, carpets or other combustible materials. Prevention: Only burn candles in sturdy holders that won't tip over. Never assume that a candle in a glass container is safe. The glass may over-heat and shatter, spreading the hot wax and flame. When burning candles, always make sure the surrounding area is clear from flammable objects. Place the candle away from high traffic areas, but in plain sight. Never leave burning candles unattended and blow out candles before leaving the room, leaving the home, or going to sleep. Most people assume electrical fires are caused by faulty wiring inside the walls of a home. While this is a common cause, most electrical fires are caused by wiring attached to household appliances. The most common cause resulting from too many appliances or electrical devices plugged into a single outlet, causing the wires to overheat and spark a fire. Prevention: Only use one extension cord per outlet. Only use extension cords that have a UL listed label attached to them. When using power tools or appliances, check the operating manual for the proper extension cord size to use with the device. Never run an extension cord under a rug or carpet. Wear and tear from normal traffic can damage the protective coating, exposing the bare wire and cause them to spark. Do not use any old or suspect appliances. Do not use a malfunctioning electrical appliance. Sparks, noises, and odd smells are danger signs, and it should be repaired or replaced immediately. Always unplug appliances when they are not in use. Never ignore any unusual activity related to the main power supply. Any flicker, fuse blowout, or sudden circuit breaker effect can be a major concern. Even a leaky pipe in the wall can saturate internal wiring and cause a fire. Be cautious, and call an electrician to inspect it. Many people don’t realize that gasoline fumes are more combustible than the gasoline itself. Gasoline vapors can be ignited by a flame that is several feet away from the actual fuel container. Prevention: Never store flammable liquids, such as gasoline, paint thinner or kerosene inside the home. These liquids should be stored out of doors in a protective building with adequate ventilation and low to moderate temperature levels. Gasoline and other flammable products, such as paint thinner, should never be kept inside the house. Only use flammable liquids and fuels for their intended purposes. Never use gasoline as a cleaning agent. Place rags that have been saturated with a flammable liquid in a metal container with a tight-fitting lid before throwing them away. A pile of flammable rags placed inside a garbage bag can ignite by themselves. If you absolutely have to use any type of flammable fuel or cleaning agent inside the home, open doors and windows to ventilate the room and dissipate the fumes. Always be sure your smoke detectors are in working order, and replace the batteries at least every six months. You should also have fire extinguishers in or near every room in your home that is susceptible to fire risk, such as kitchen, laundry, basement, garage, etc. How to Prevent Pipes from Freezing? 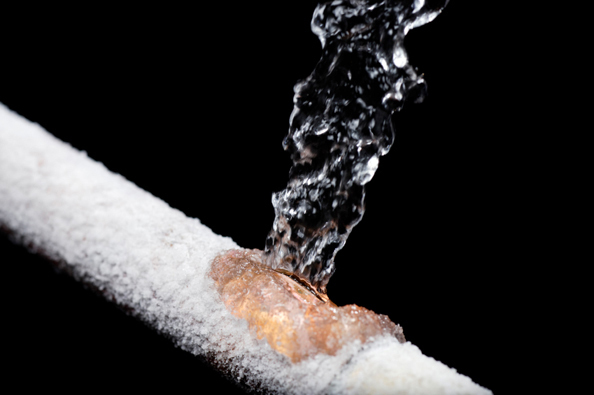 Frozen pipes are one of the most common and costliest property damage events during the cold winter months. In fact, a burst pipe can result in tens of thousands of dollars in damage. Fortunately, frozen pipes can be prevented quite easily and inexpensively. Water freezes when heat in the water is transferred to subfreez­ing air. The best way to keep water in pipes from freezing is to slow or stop this transfer of heat. Ideally, the best way to protect pipes from subfreezing tem­peratures, is by placing them only in heated spaces and out of attics, crawl spaces and outside walls. Unfortunately, this may not be a practical solution for existing homes. In the case of new construction, however, optimal pipe placement can be designed into the building. Vulnerable pipes in existing homes should be fitted with insulation sleeves or wrapping to slow the heat transfer. It is important not to leave gaps in the insulation that expose the pipe to cold air. Hardware stores and home centers stock a variety of foam rubber and fiberglass sleeves, in various thicknesses. Cracks and holes in outside walls and foundations near water pipes should be sealed with caulking to keep cold wind away from the pipes. Kitchen and bathroom cabinets can keep warm inside air from reaching pipes under sinks and in adja­cent outside walls. It’s a good idea to keep cabinet doors open during cold spells to let the warm air circulate around the pipes. Electric heating tapes and cables are also available to run along pipes to keep the water from freezing. These must be used with extreme caution; follow the manufacturer’s instructions careful­ly to avoid the risk of fire, and check to make sure the product conforms to UL 2049. Tapes and cables with a built-in thermo­stat will turn heat on when needed. Tapes without a thermostat have to be plugged in each time heat is needed, and may be forgotten. Install a reliable back-up power source to ensure continuous power to the building. Properly seal all doors and windows. Seal all wall cracks and penetrations, including utility service lines. Install insulation and/or heat trace tape with a reliable power source on various wet sprinkler system piping. This includes main lines coming up from underground passing through a wall as well as sprinkler branch lines. Place a monitored automatic excess flow switch on the main incoming domestic water line to provide early detection of a broken pipe or valve when the space is unoccupied. When away from home for an extended period of time, don’t set the thermostat at too low of a temperature. If you are not sure how low to set the temperature, consider shutting off the main water supply and draining the water system. Open bathroom or kitchen faucets adjacent to outside walls to allow the water to slowly drip. This won’t necessarily prevent the pipe from freezing, but it will relieve excessive pressure to prevent the pipe from bursting, if it does freeze. What Causes Frozen Pipes to Burst? Contrary to popular belief, pipes do not typically burst where the ice blockage is located. The expansion of the ice against the wall of the pipe does not cause it to break. Rather, after a complete ice blockage in a pipe occurs, the continued freezing and expansion inside the pipe causes water pressure to increase downstream, between the ice blockage and a closed faucet at the end. This increase in water pressure is what causes the pipe to fail. Usually the pipe bursts where little or no ice has formed. Upstream from the ice blockage the water can always flow back towards its source, so there is no pressure build-up to cause a break. Water has to freeze for ice blockages to occur. Pipes that are adequately insulated along their entire length are usually safe from freezing. Which Pipes are Susceptible to Freezing? Generally, homes and structures in northern climates are built with the water pipes located inside the building insulation, which protects the pipes from subfreezing weather. However, ex­tremely cold weather and holes in the building that allow a flow of cold air to come into contact with pipes can lead to freezing and bursting. Pipes in attics, crawl spaces and outside walls are all vulnerable to freezing, especially if there are cracks or openings that allow cold, outside air to reach the pipes. Research has shown that “wind chill,” can accelerate the freezing process. Holes in outside walls where television, cable, or phone lines enter can allow cold air to reach pipes. The size of pipes and their composition (e.g., copper or PVC) have some bearing on how fast ice forms, but they are relatively minor factors in pipe bursting compared with the absence of heat, pipe insulation and exposure to subfreezing air. When should you be alert to the danger of freezing pipes? That depends on the climate where you live, but the “temperature alert threshold” is 20 degrees F.
This threshold is based upon research conducted by the Building Research Council at the University of Illinois. Field tests of residential water systems subjected to winter tempera­tures demonstrated that, for un-insulated pipes installed in an unconditioned attic, the onset of freezing occurred when the outside temperature fell to 20 degrees F or below. However, freezing incidents can occur when the tem­perature remains above 20 degrees F for an extended period of time. This is especially true if pipes are exposed to cold, flowing air, as on a windy day, due to cracks in an outside wall or lack of insulation. However, the 20 degrees F “temperature alert threshold” should be applicable in most cases.